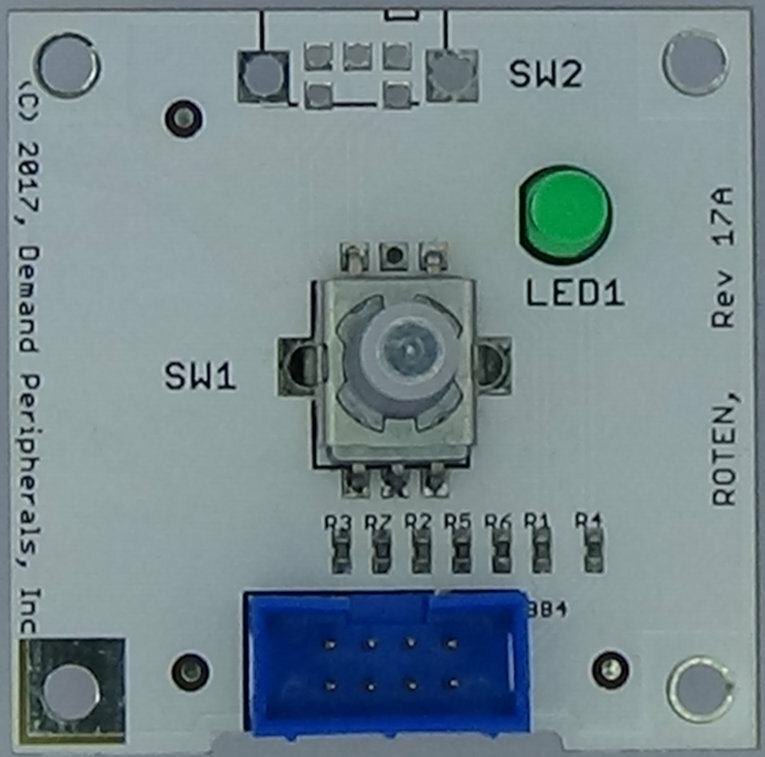 The ROTEN Rotary Encoder Card is a simple user interface compontent that has a rotary encoder with push button and a general purpose LED. The rotary encoder can be mounted on the top, bottom, or end of the card making building nice looking UI hardware easier. The rotary encoder card is event driven when used with the "roten" FPGA peripheral and driver. This means your program does not need to poll the switch looking for rotary movement. The schematic and layout of the rotary encoder card are shown below. 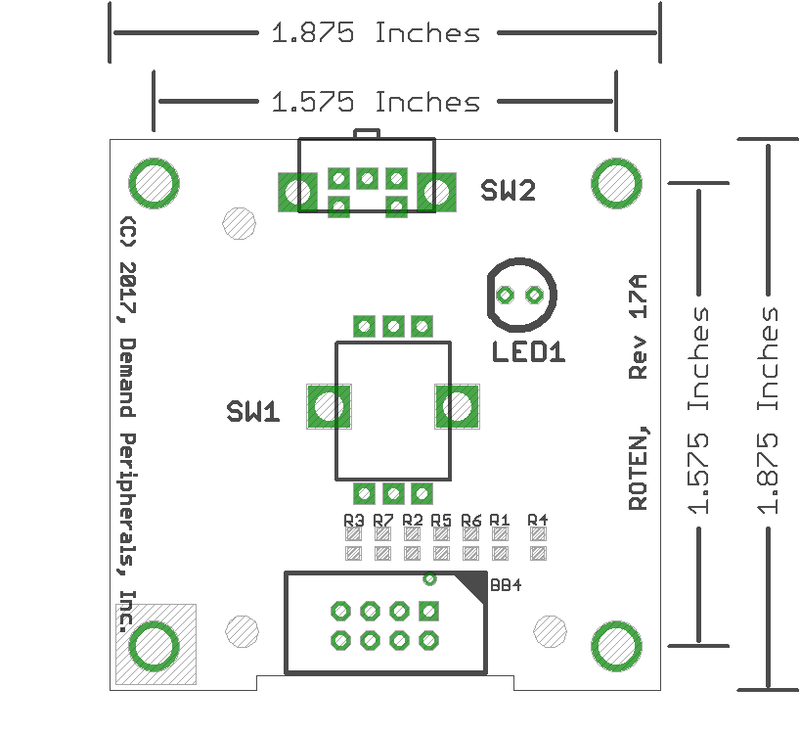 The Eagle schematic and board files are available here: roten.sch and roten.brd. The bill-of-materials file is available here: roten.txt.